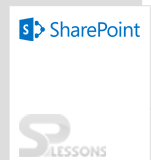 You can use the Page Viewer Web Part to display a Web page, file, or folder on a SharePoint page. You enter a hyperlink, file path, or folder path to link to the content. A favorite Internet news source in a dedicated news summary section of a SharePoint page.A frequently used document or spreadsheet.